The biggest art & design fair in the North West with work from over 200 artists and makers, plus vintage, clothing designers & local food and drink providers. This year’s Winter Arts Market returns on Saturday 1 December, offering shoppers the chance to buy handmade artworks, crafts and design gifts in the lead up to Christmas. 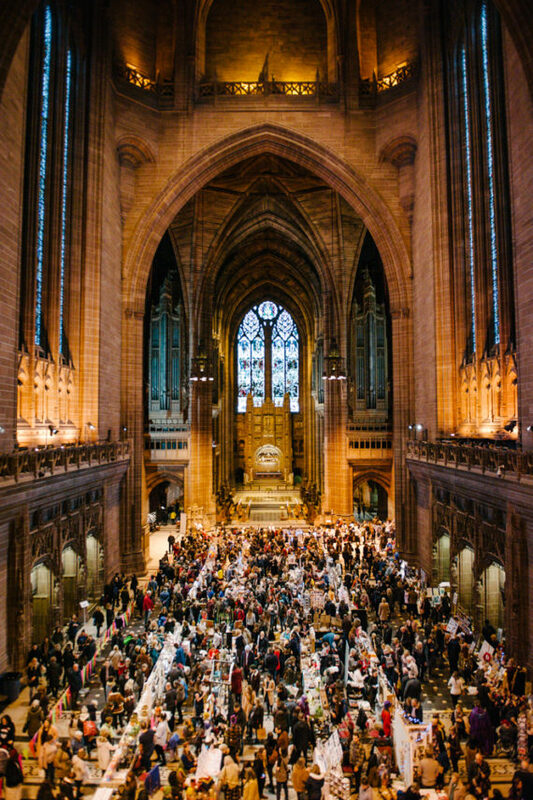 Over 200 independent artists, designers and makers will transform Liverpool Cathedral into a bustling market displaying thousands of colourful creations alongside an artisan food fair and vintage fair. This year we celebrate the 10th anniversary of this special event, which will feature stalls from over 200 artists, designers, makers, crafters, food producers, clothing designers and vintage sellers. Join us to support local artists and makers and find the perfect gifts for friends and family.